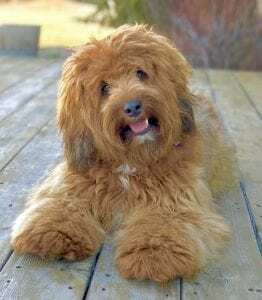 Our Australian Labradoodle pedigrees began in Australia and America. 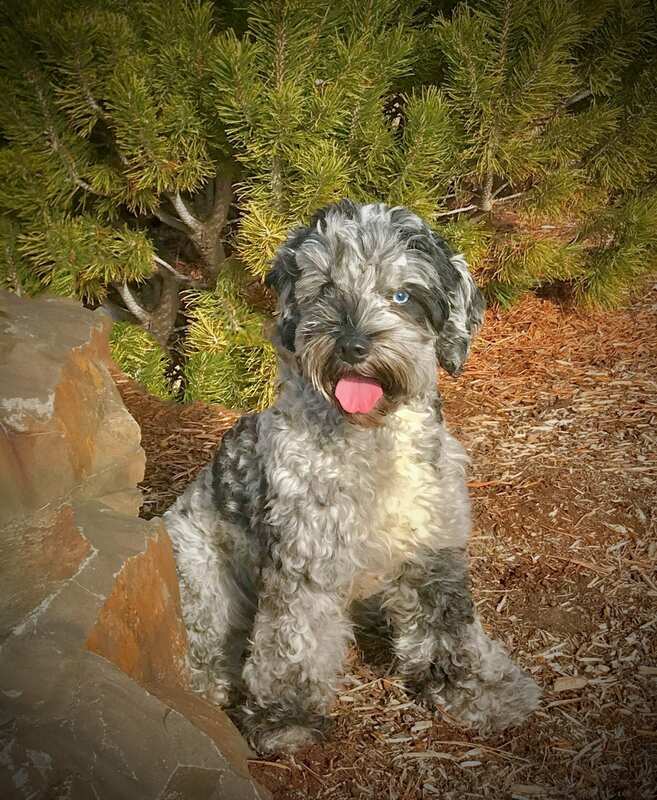 All of our dogs are either Penn Hip certified, or OFA certified with good and/or excellent hips in their lines, certified for eyes, tested for progressive retinal atrophy, cardiac, patellas, elbows, and cleared of Von Wildebrands. On very rare occasions we will consider breeding Fair hips, but take careful precaution to use a sire with Good or Excellent hips with a precise consideration to pedigrees and genetic history of solid hip lines. Most all of our breeding females are retired after having just 3 litters, so they can enjoy a wonderful, normal dog life. All of our breeding dogs live in approved guardian homes and receive countless hours of love, affection, care and training. They love to play, but will also settle in for a good movie. Our dogs have the best life possible with one-on-one care and attention. Health: OFA hips good. Elbows, patellas, cardiac, & CERF normal. Ruth came from a litter with Jade and Prince in 2016. She lives with a fabulous guardian family in Bend, Oregon. She loves going on hikes and is a bundle of joy. She is a wonderful family dog with nice conformation and a wonderful temperament. She has a fantastic fleece coat. We are very excited about the small puppies that Ruth will produce. Mocha was born in September of 2015 to Daphne and Quixote. 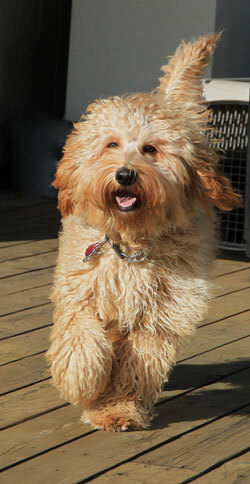 She is absolutely a delightful miniature Labradoodle who is a happy playful girl who loves everything and everyone. She currently lives with a loving family in Bend, Oregon and is a great addition to our breeding program. We have some fun and interesting colors and true miniatures of 20 lbs or less in her litters. Margo was born May 1st of 2016 to Daphne and Quixote. 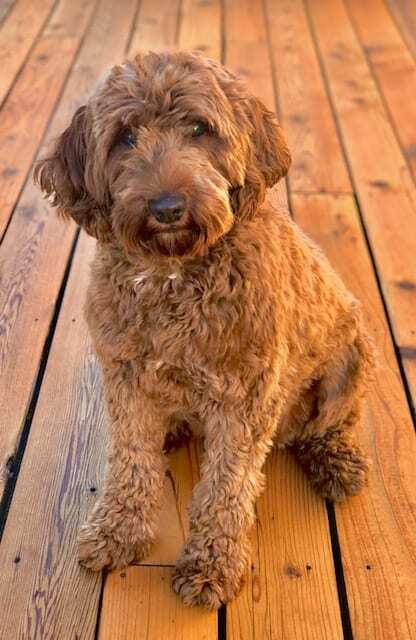 She is absolutely a stunning miniature Labradoodle who is a playful girl who loves exploring and everyone she meets. 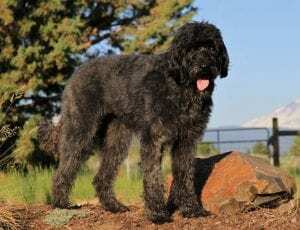 She currently lives with a loving family in Salem, Oregon and is a great addition to our breeding program. She is a regular at coffee shops around town in Salem and is quite photogenic. We expect some fun and interesting colors and true miniatures of 20 lbs or less in her upcoming litters. Sasha was born August 14, 2016 to Reese and Lincoln. She lives in a wonderful guardian home in Salem and loves to be active. Sasha has the sweet temperament and a silky soft apricot fleece coat. She is playful, full of life, and loves adventure. We expect great puppies from this girl! Hazel was born May 12, 2017 to Betty and Rudy. She lives in a wonderful guardian home in Bend and loves to be active with her sister Autumn who is one of our retired breeding girls. Hazel loves attention and snuggling and has a gorgeous soft curly coat with such uniqueness in her phantom markings. She is playful, full of love for her humans, and loves to play with other Doodles! Kiva came from a litter with Cameo and Butter in 2016. She lives in a fabulous, family guardian home in Bend, Oregon. She has a sweet personality that is very gentle. Kiva has passed her OFA screening with “good” hips, normal elbows, patellas, and cardiac. 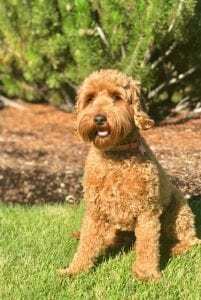 She is a wonderful family dog with nice conformation and a great temperament. She has a great fleece coat as produced some stunning puppies in her last litter. Zailey was born June 29, 2015 and came to us from Mountain Park Labradoodles. She lives in a guardian home in Salem, Oregon. Zailey has a gorgeous red fleece coat and a nice calm temperament. She has completed her health screening with all normal results and had her first litter in 2017. We had fabulous puppies from this sweet girl! Poppy came from a litter with Zailey and Cappuccino on April 12, 2017. She lives in a loving family guardian home in Bend, Oregon. She loves going for walks, playing ball, and has a wonderful, loving temperament. She is a wonderful family dog with nice conformation and a great personality. She has a fantastic fleece coat with rich coloring. We expect beautiful puppies from her. Penelope was born October 4, 2016 to Zoe and Prince. She lives in a wonderful guardian home in Salem. Penelope has the wonderful temperament and a silky soft red fleece coat. She is playful, very snuggly, and loves children. We expect exceptional puppies from this girl! We purchased Kaia from Mt. Park Labradoodles. She is a gorgeous black girl with a lot of “style” and a personality to match. Kaia has a beautiful soft, non-shedding fleece coat and a wonderful sweet temperament. She completed her health screening with all good and normal results. Kaia produces wonderful puppies with with good confirmation and sweet temperaments. Luna was born April 7, 2017 to Zoe and Lincoln. She lives in a guardian home in Eugene, Oregon with an amazing family and is a big part of their family. Luna has a gorgeous apricot/red coat and a nice sweet temperament. She is full of life and joy, but is also a sweet snuggler and a gentle girl. She is at the top of the medium size scale with beautiful conformation. We are excited to see the puppies she produces for us in the future! Ebony was born June 13, 2014 and she was imported from the United Kingdom to bring some new unrelated puppies to our breeding program. She is a gentle giant as she’s the biggest girl we have in our business. Her temperament is fabulous with her being both mellow and calm. She considers herself to be a lap dog even though she is a big girl. Ebony lives in Portland, Oregon with one of our wonderful guardian families who adore her. 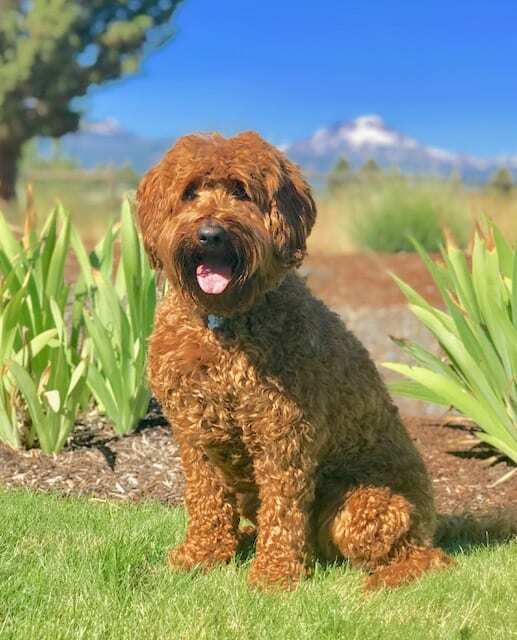 Bullseye came to us out of our friends at Tango Wool Labradoodles and we couldn’t be more thrilled with this amazing stud boy. 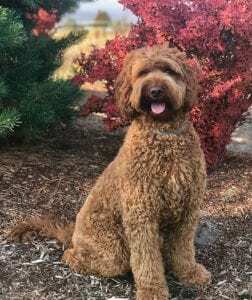 He was born June 5, 2017 and lives in Bend, Oregon with his guardian family. 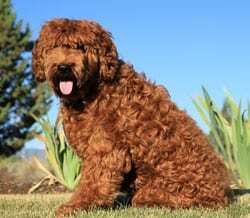 He is a gorgeous Small Australian Multi-Generation Labradoodle. Bullseye has a beautiful sable silky fleece coat and is an extremely loving, calm temperament dog. He enjoys walks with his guardian family and is always inquired about around town when people see him. He is often seen around Mt. Bachelor and is a fan favorite! Bullseye is a big part of our business producing smaller Labradoodles in a variety of colors. Lincoln came to us out of our friends at Brasken Kennels. Lincoln was born June 15, 2015. He came to us at 8 weeks of age and now lives with his wonderful guardian in Redmond, Oregon. 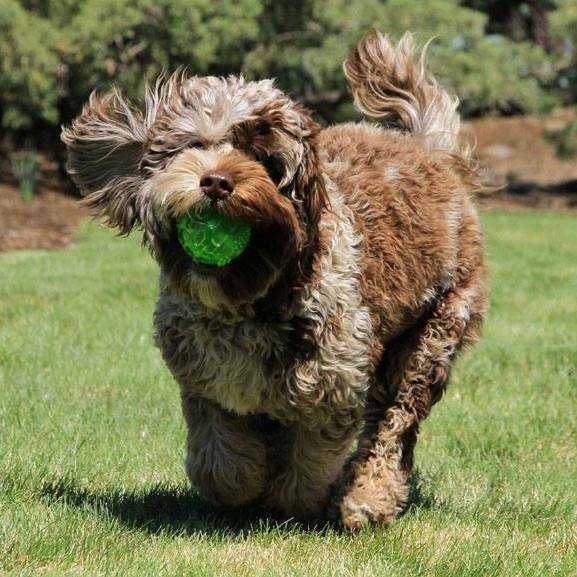 He loves to go for walks, play fetch, and explore the great outdoors. We are elated to have this fabulous dog in our breeding program. He has an excellent pedigree, temperament and an amazingly soft fleece coat. 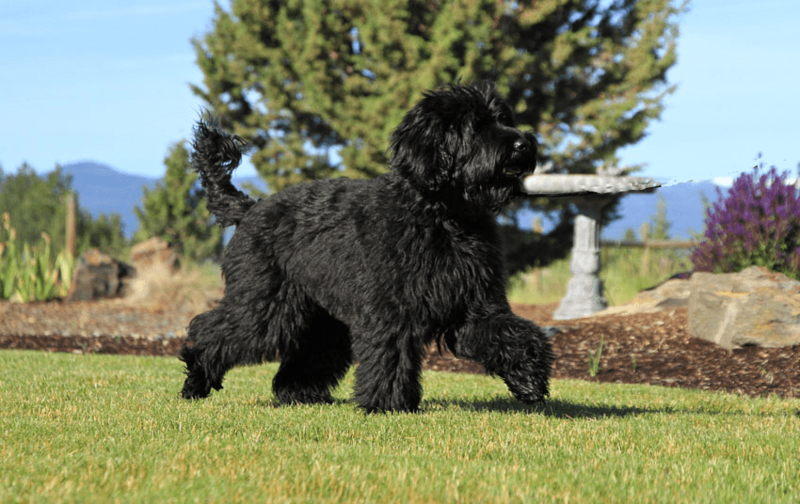 Lincoln has everything we look for in a sire and is a big part of our business producing wonderful puppies! Sancho was born October 21, 2015 to Shiner and Quixote. 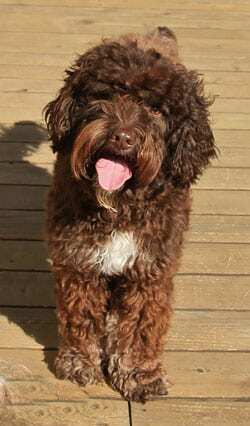 He is a phantom, parti-factored chocolate Australian Labradoodle with some very interesting color variations. His temperament is so nice and mellow, just like his parents. 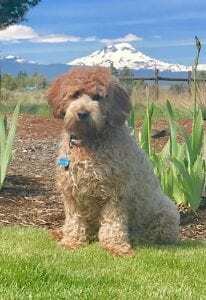 Sancho lives in Bend, Oregon with his guardian family.